There was a time when air conditioning was considered a luxury but these days, it has become a necessity. 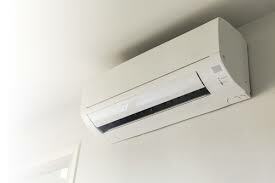 The air conditioning system keeps your home cool but it also results in huge energy bills. Many homeowners do not realize that they can quickly bring down their air conditioning energy costs with some simple things. So, follow the tips mentioned below in order to save money on your air conditioning energy costs. One of the most important thing you need to do in order to lower your energy bills is to invest in proper maintenance of your air conditioning system. It’s recommended to get your air conditioning system serviced and cleaned at least once in a year in order to make sure it keeps running at peak efficiency. You should hire the services of a certified and reliable HVAC contractor to ensure that your air conditioning system is ready for the summer months. If the air-conditioning system is not running at its peak efficiency, it will use more than required energy to provide the same level of cooling and that will cost you extra money. Ideally, you should get in touch with a licensed HVAC contractor before you turn on the air conditioning during the summer months. It is important that you do some research and hire an HVAC contractor who has experience with the type of air conditioning system you have in your home. You should also consider investing in a programmable thermostat in order to bring down the energy bills. Without a programmable thermostat, you will always have to make changes manually and many people avoid making constant changes as it is uncomfortable. They do not realize that it also costs a lot of money in terms of higher energy bills. These days, Wi-Fi capable thermostats are also available that allow you to maintain the environment inside your home even when you are far away. So, do your research and invest in a programmable thermostat. Experts recommend changing the air filters on the HVAC system on a regular basis. A dirty air filter is not only bad for your health but it also leads to increased energy consumption. In fact, dirty air filter also reduces the life of your HVAC system. Therefore, it is important that you regularly change the air filter. It is also recommended to use the right sized filter. While air-conditioning will keep the temperatures down inside your home, you should also make use of window covering and shades in order to keep the radiant heat outside. It is also recommended to invest in energy efficient windows and doors to make sure cool air inside your home doesn’t escape. You should also get the ductwork tested for airflow leakage. Proper sealing of ductwork has the potential to increase the efficiency of HVAC system by up to 20%. In other words, plugging any leakages in the ductwork can reduce your energy bills by up to 20%. So, get in touch with a reliable and experienced HVAC contractor in order to test the ductwork and seal any leakages. Many homeowners are not aware that planting trees and shrubs all around their property can increase the efficiency of the air-conditioning system by up to 10%. In other words, a thing as simple as planting shrubs and trees around your property can bring down your energy bills by up to 10%. It is due to the fact that most heat that accumulates in a home is either due to the sun shining on the roof or through windows. By planting trees around the property, it will prevent the sun from shining directly inside the home which in turn will bring down your energy bills. Proper air circulation inside the home is necessary in order to throw the hot air outside. In case you live in a multi-storey home, it is recommended to operate fans on the upper level and keep the windows open on the lower level. In case you have a one story apartment, it is recommended to close the windows near the fan and open the windows that are far away from the fan in order to keep the air moving. Proper air circulation will add to the cooling effect and will help you lower air-conditioning costs. If your HVAC system is old, especially if it is more than 10 years old, it is recommended to invest in a new high efficiency cooling system. Technological advances in the recent years have increased energy efficiency of cooling systems and you should be able to fully recover the cost of a completely new cooling system through energy savings in a few years. Overall, an air-conditioning system runs best when it is properly maintained. Therefore, you should ensure proper check and maintenance at least once a year. Regular maintenance will not only enhance the life span of the air-conditioning system but it will also keep it running at its most efficient. In simple terms, regular maintenance will save you a lot of money over the long run.